Hand-dyed Sandstone rayon batik. 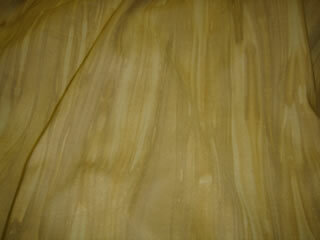 Beautiful rich colors, combined with the Magnolia Sandstone rayon would make a beautiful jacket or dress. Add the new midnight black crinkle for a glamorous look.